5-Star Kitchen & Bath provide the finest Cabinetry & Kitchen Remodeling Services to our client to meet any budget, We are committed to making your Remodeling experience as easy and convenient as possible with our unmatched selection with an endless number of possibilities, no matter your lifestyle or budget, 5-Star Cabinets is ready to help bring your dream kitchen to life. 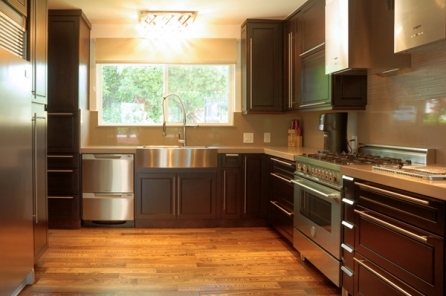 A 10'x10' Kitchen is a sample kitchen used for universal price comparisons across different cabinet types and styles. The kitchen industry uses the 10'x10' kitchen layout to give the consumer a general idea of what that particular cabinet door style costs. The actual cabinet order for your layout may be more or less, based on overall size and cabinet options selected.